Biomechanics is the assessment of how our bodies move and work. This is particularly important for horse riders as we are all individual in our movement patterns and so are our horses. It requires both horse and rider to be moving in good posture, symmetry, strength and flexibility. 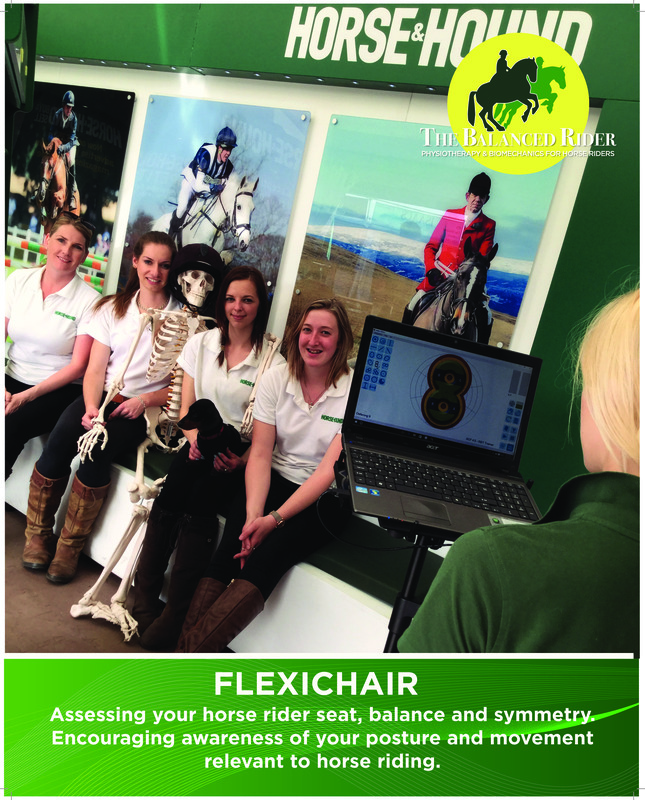 Rider biomechanics are an integral part of all our assessments and treatment at The Balanced Rider, so you do not need to book in specifically for a biomechanics session. When you book a rider physiotherapy session with us biomechanics will be a significant part of the assessment and treatment.